Stink bugs are an emerging threat to soybean and corn production in the Midwest. 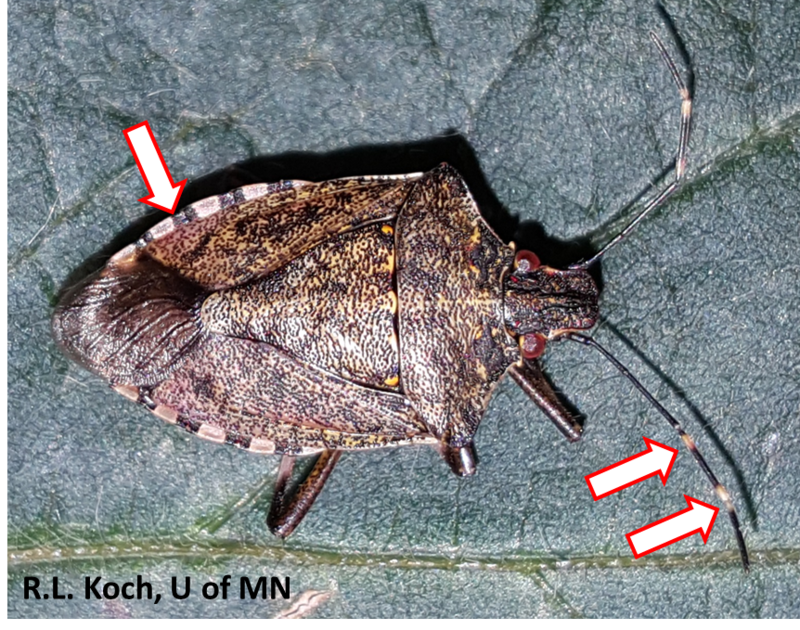 The brown marmorated stink bug (BMSB) is invading the region, and was found for the first time in Minnesota soybean last summer (see image below with arrows indicating some key features for identification). In addition, there are reports from the region of increasing abundance of some of the native stink bug species. 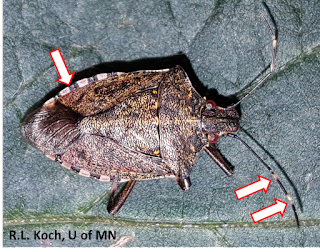 As part of our response to this emerging threat, we recently wrote an article reviewing the identification, biology and management of stink bugs in soybean and corn, which can be accessed through the Journal of Integrated Pest Management.